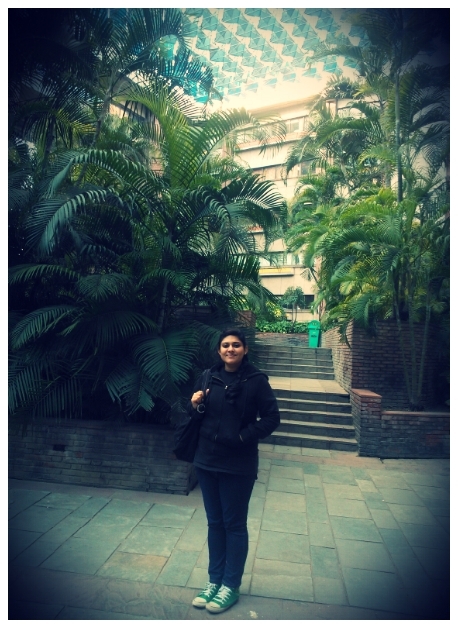 Caramel Wings: The nth time I visited New Delhi but the first time that I experienced it. dormitory. It was a difficult transition for me mentally, but in hindsight it was the best decision ever! Sometimes all you need is a light hearted conversation. Where no one asks you why or what or how, or even if they do, it doesn't matter, because they are travelers who you meet along your journey. You give each other an honest ear, and no matter what your cultural differences are, you meet somewhere halfway and it all makes sense. As it did with Izabela, a beautiful Polish girl I met at the hostel who gave up her steady career in Germany and is on a trip where she has almost found her true calling. And no, she has not read or watched Eat Pray Love. It all started when I asked her how her trip was going and she went like "Oh I love it except I am really disappointed with Indian food, you know. Everything is vegetarian and I love it but I am a meat eater and I miss my meat!" 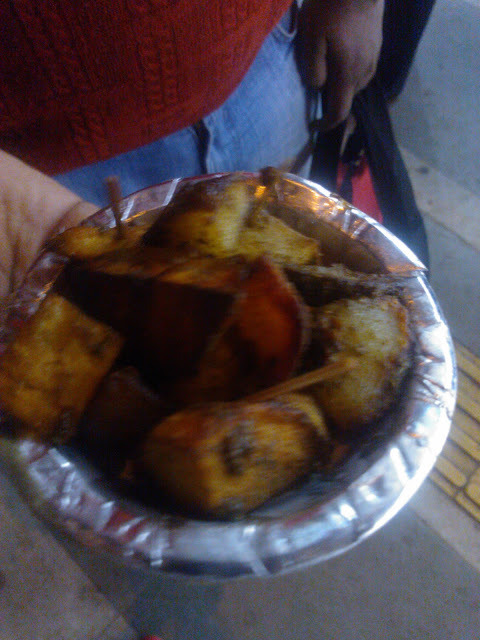 I also went on a veggie food walk with Prem Piyush. I think his name deserves a mention because he is the first friend I made over the internet on a silly TV forum close to a decade ago. This was the first time we met and it was absolutely sweet of him to suggest going to Chandni Chowk for the food walk! After taking a long walk through the crowd that was trying their best to sell me wedding trousseau and jewelry, we started off at the famous Tikkis and Dahi Ballas from Natraj. The Tikkis were awesome but the Dahi Ballas were just okay. 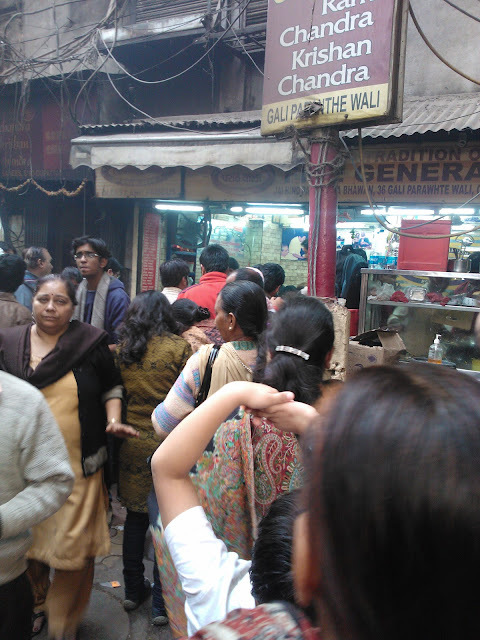 We then headed in the opposite lane, the very famous Paranthewali Gali, where we had to wait and wait to try the paranthas. There are 3-4 stalls out there but the oldest one is the Pt. Kanhaiyalal Durgaprasad Dixit Paranthewale and that was the one we went to. The selection of paranthas was truly amazing, ranging from the classic Aloo Parantha to Tamatar ka Parantha to Cheese Parantha to Rabdi Parantha, all deep fried. They were served with two sabzis, achaar, and Dahi that came at an additional cost. We tried the Matar Parantha, Paneer Parantha and the Rabdi Parantha. While the Matar and Paneer were nothing to write home about, the Rabdi Parantha is an absolute must try! The Rabdi is not too sweet and perfectly creamy and will make you feel warm and fuzzy inside when its cold outside! The one on top is the Rabdi Parantha and under it is the Matar Parantha! 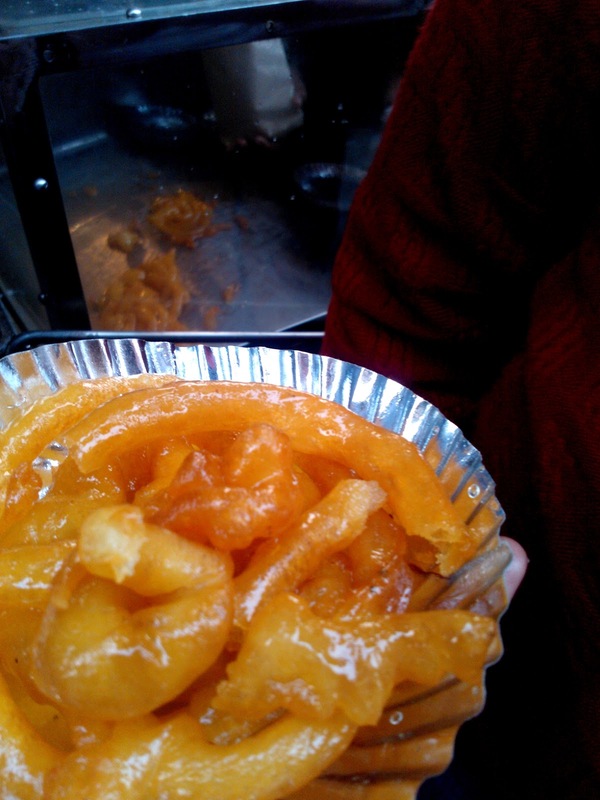 Boy had instructed me to try the Jalebi+Rabdi at Jalebi Wala without fail at Chandni Chowk. Since I had already had an overdose of Rabdi, and they weren't serving any on that day anyway, we tried the Jalebis and they were absolutely amazing. Nothing like the overly sweet tasting ones available locally, these were jumbo sized, at the perfect temperature, not too sweet, a little tart, crisp coating but cotton soft on the inside, they were melt-in-the-mouth goodness! 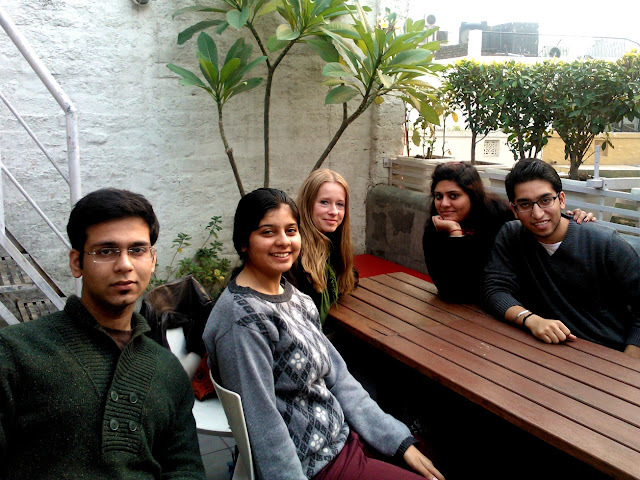 After all that madness we went to Connaught Place and grabbed Coffee, and had a below average Aloo Chaat too. 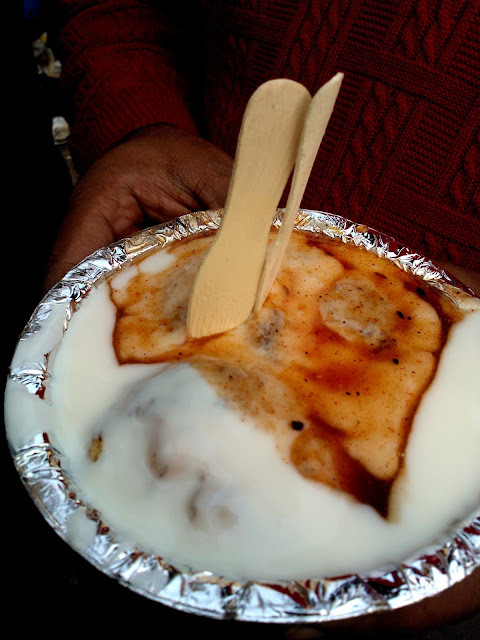 The best one I have had till date has been in the Sarojini Nagar Market, as well as on one of those carts in East of Kailash. My trips to Delhi are incomplete without a visit to Dilli Haat, Safdarjung/INA. 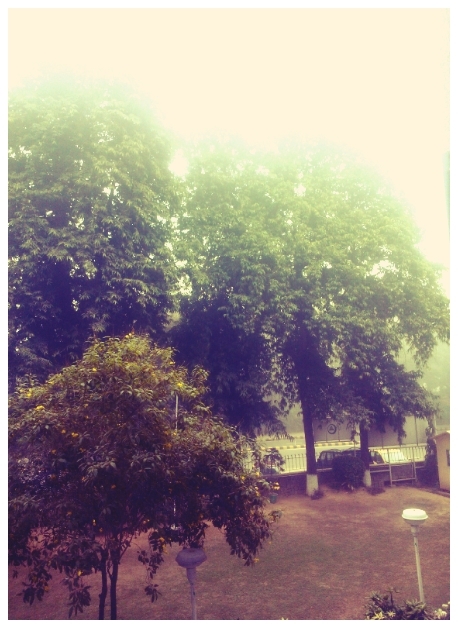 Even though it has started to look like nothing new to me anymore, I love the vibe of the place. 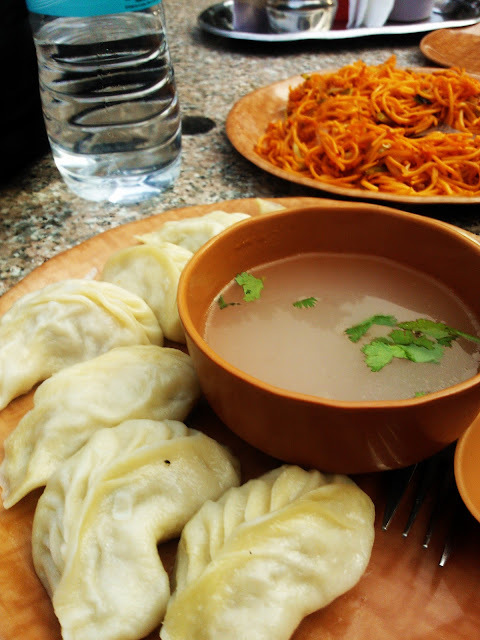 One of my favorite places to eat has been the Sikkim stall inside which serves amazing Chicken/Pork Momos and Sikkimese Noodles too! This time was no exception! 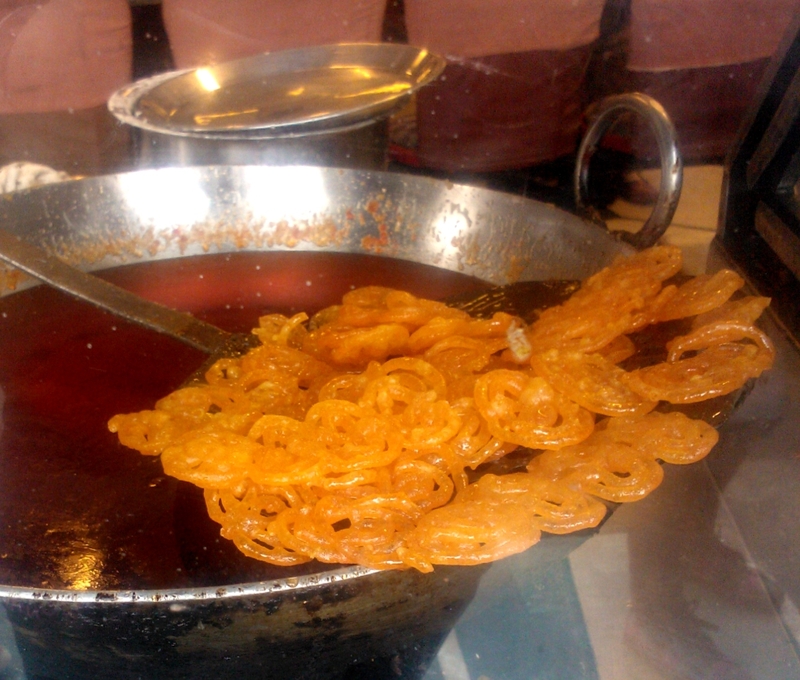 And after all that spice we had to head over to Rajasthan to have some more Jalebis, fried on the spot for every order! I can never get tired of these! I actually was in Delhi for some flying related work, so I was visiting the Delhi Flying Club near Safdarjung Airport everyday, and I am so glad that I did, for behind the plush restaurant that serves a classy clientele is tucked in a small Canteen where the Employees have their meals, and I met Simar there who said that the small hut like Canteen served up the best Samosas everyday and Kadhi Chawal (Only on Tuesdays and Thursdays). I just had to try it out, and I am so glad I did. These were hands down the best Samosas and Kadhi Chawal I have ever eaten in my life. 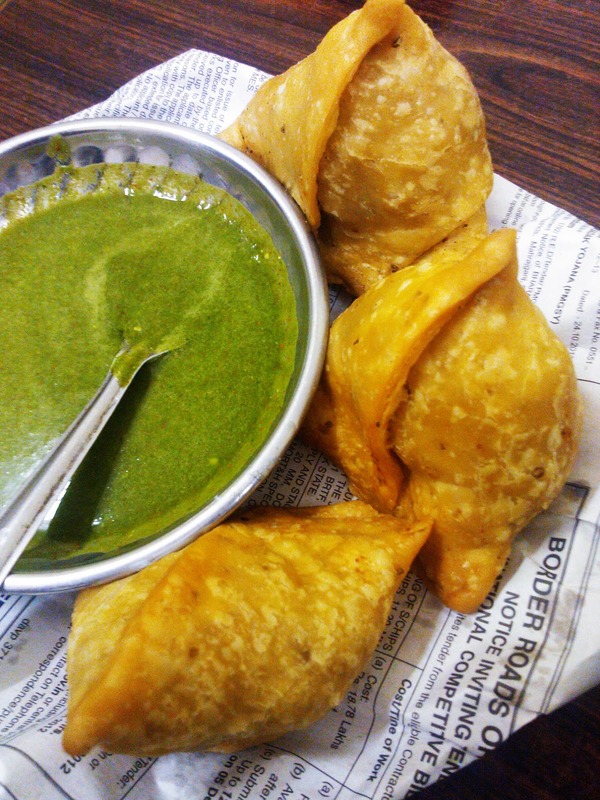 I got back from Delhi and the first thing I had in Mumbai were the Ghee-Fried Samosas from Tewari Bros which were nowhere close to the ones I had at the Canteen. Yum food does not care where it comes from, be it a small canteen or a huge fancy restaurant! Speaking of which, I also visited the India Habitat Center at Lodhi Gardens, and tried the bakery at their famous food court Eatopia. 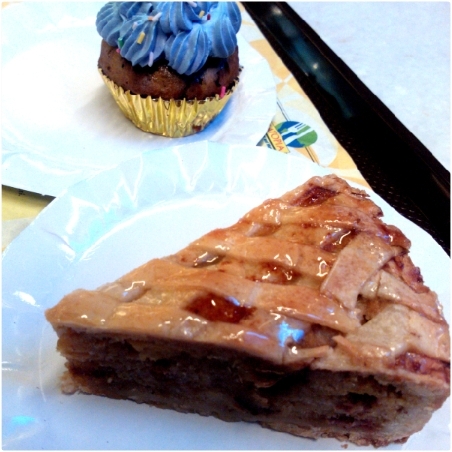 I was impressed with their Date and Apple Pie and the Blueberry Cupcake was pretty okay too. 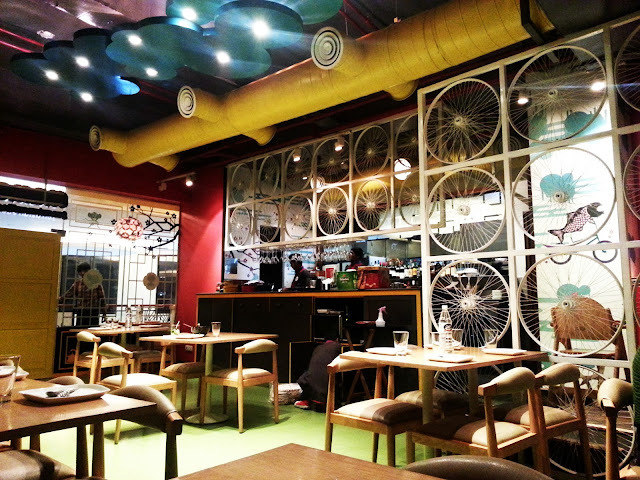 But I tried an even better bakery in Khan Market, called Sugar n Spice. I was too busy gobbling up the yummies so I don't have a picture of that place but it is a must try! Wish the Cupcake had no frosting! India Habitat Center also houses The All American Diner, a place that was recommended to us by many people on the Twitterverse, so I had to try it out! The feel of the place was perfectly captured, the music transported us back in time and the servers were always smiling. I highly recommend the shakes on their menu. 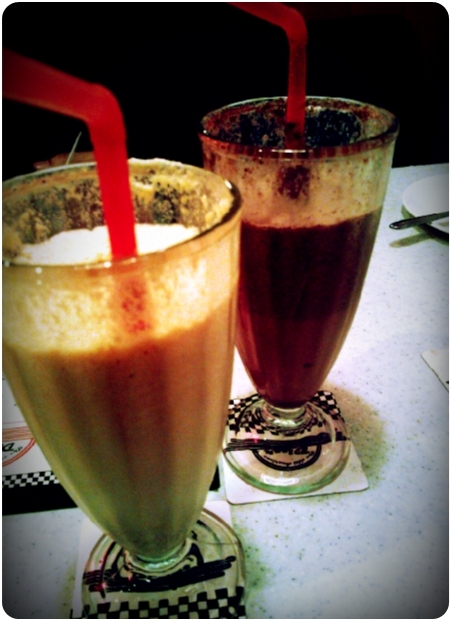 We tried the Peanut Butter Malt Shake and the Wicked Brownie Malt Shake and were impressed with both. We had their breakfast items for dinner and they were good too, but I would like to try their mains on my next visit. I discovered my strange obsession with Banoffee Pie during my Delhi trip. I have a separate stomach for desserts and I could not help but walk in to Mamagoto at DLF Promenade once I peeped in to have a look at their interiors. But it wasn't just the decor, the food lived up to the name! 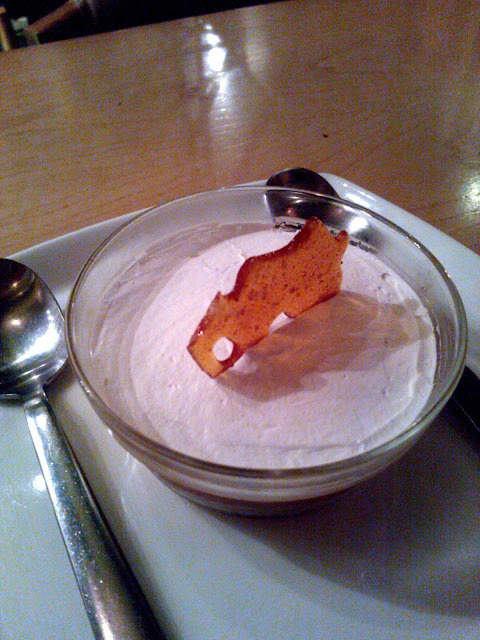 The Banoffee pie was just perfect and not overly sweet like the one I had the very next day at Pizza Hut. Yay to Mamagoto and Nay to Pizza Hut. Boy and I also went for dinner to the very famous Andhra Bhavan. Guys, you MUST try this place, 130 bucks for a Thali (Vegetarian) but for all you Non Vegetarians I'd say also go for a side of their Mutton Curry which is a fall-off-the-bone-melt-in-your-mouth spicy awesomeness. 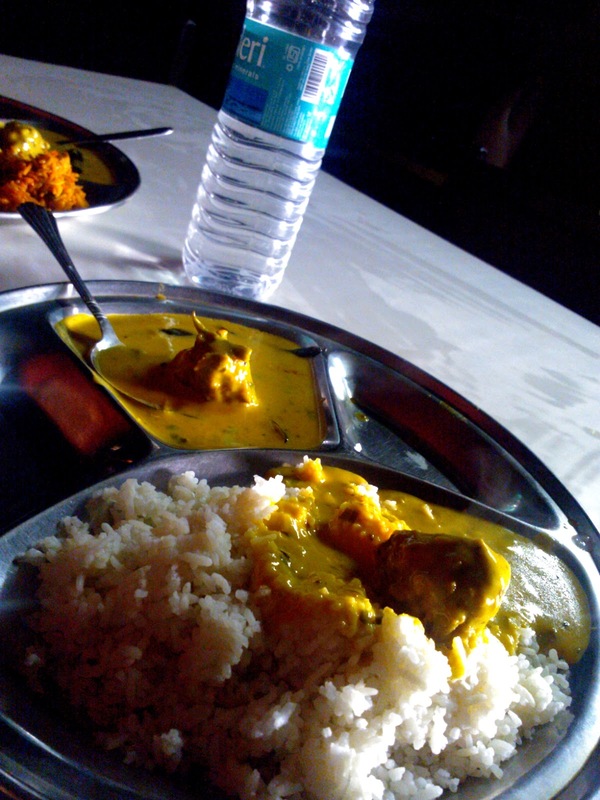 I cannot handle spicy food but I couldn't stop myself from gorging over the yummy Thali! 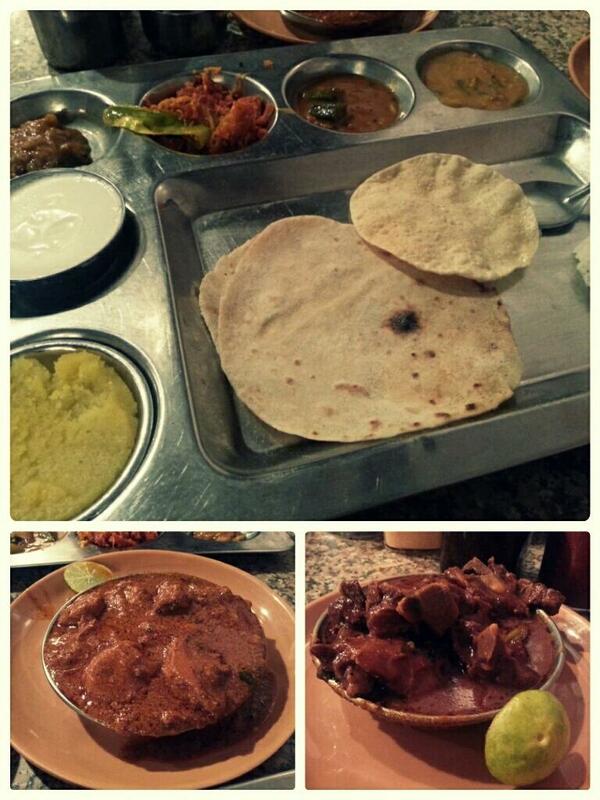 Andhra Bhavan Thali with Chicken Curry and Mutton Curry! Everyone who reads my blog or knows me knows that I love breakfast, and I never skip it. I sometimes even eat breakfast for dinner. But I had the same breakfast everyday during my stay in Delhi. 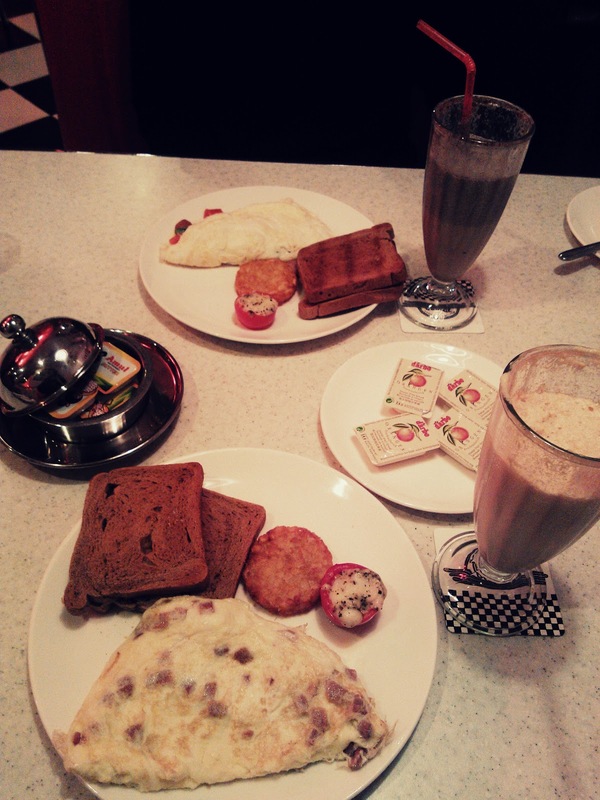 4 toast, Eggs made to order, Jam, Butter, one Banana and a cup of Coffee and a cup of Green Tea. This was the standard breakfast at the Hostel canteen. It was so bad that it was good. 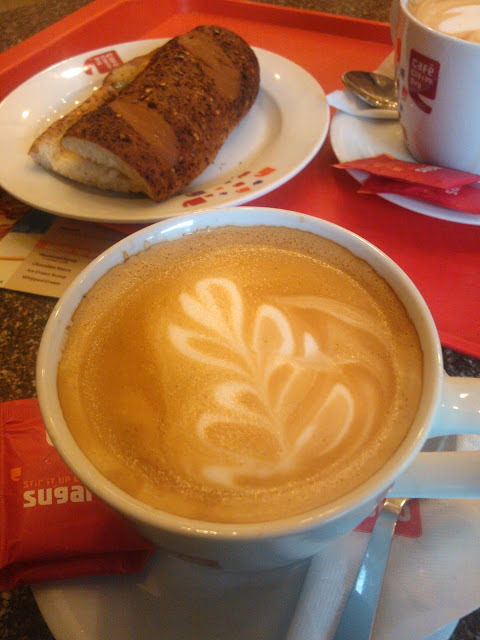 I kinda miss it now and I wish I was not crazy hungry every morning so I could have even taken a picture of that! 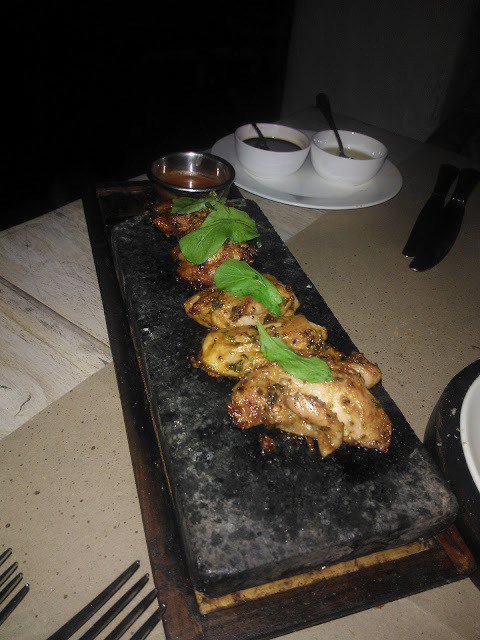 Stone Cooked Paprika Chicken with Spicy Sauce at Olive Beach! I say this every time and I'll say this again, Delhi is way better than Mumbai in terms of food. Be it street food or fine dining. It is a fact and its coming from a Mumbaikar. Except the Gujarati chaat which is better in Mumbai, Delhi can definitely be called the food capital for me as of now. I had the opportunity to dine with two gentlemen at Chef Saby's famous Olive Beach in Chanakyapuri on the night before I left for Mumbai, and I probably had the best Tiramisu I have had in a long time, which was a welcome change from the faux Tiramisu served here in Mumbai at most places with Chocolate Cake instead of Lady Fingers in it. But I was told that there is still better Tiramisu in Delhi which will definitely be tried on my next trip! 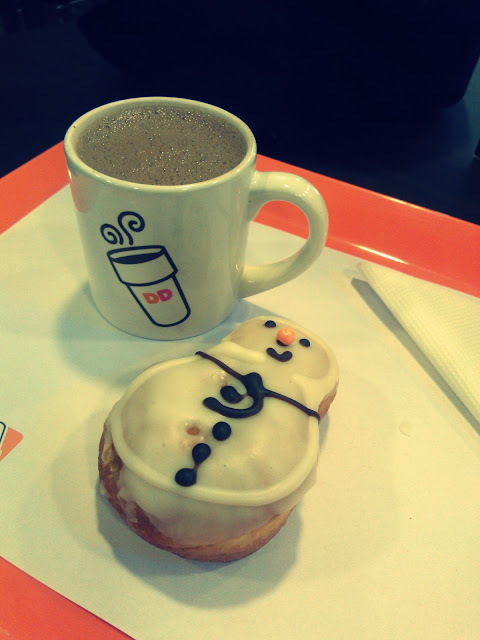 Doughnut was okay but the Hot Chocolate was too Instant-Powder tasting! Foursquare Check-ins are a must! 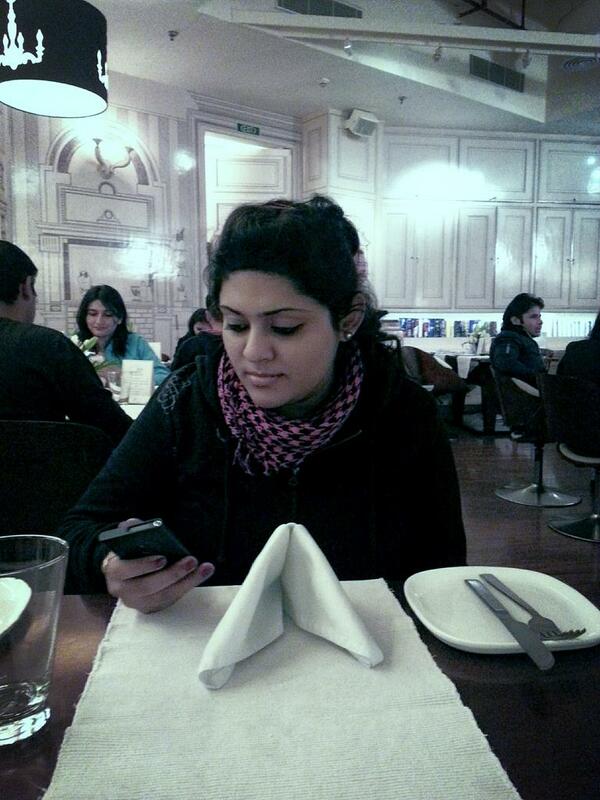 @ Smoke House Deli, DLF Promenade. I would love it if you guys knew of any more places that you'd like me to try out in Delhi and wanted to recommend them! Please a comment and I will add it to my list! 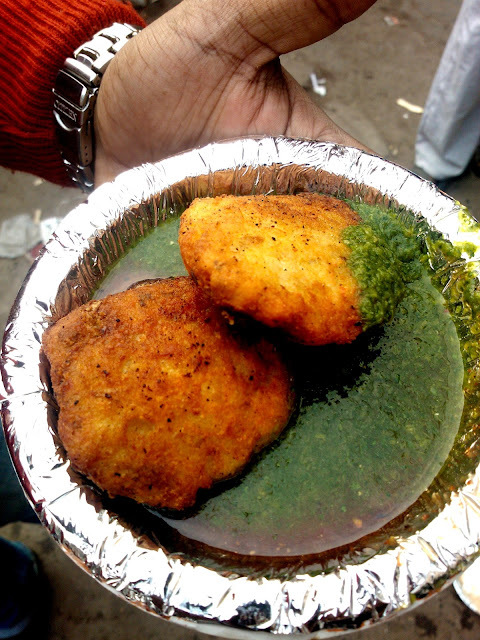 :D Hope you had fun reading the first part of my guide to eating in Delhi! The reason why I did not delve into more detail is because I had lots of places to cover and I did not want this to go into a 2 part post :) I usually do detailed reviews of dishes when I go for restaurant reviews though! :) Thanks a ton! I was drooling throughout the post. Love the way you've written this. Felt as if I walked all those places again.. And despite of sitting like more than 1000s of kms away, it felt like I was right there savouring all those dishes. 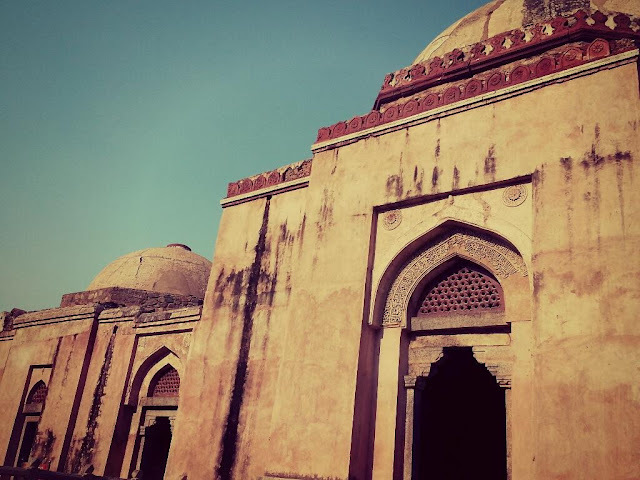 I totally love Chandhni Chowk and Sarojini Nagar. 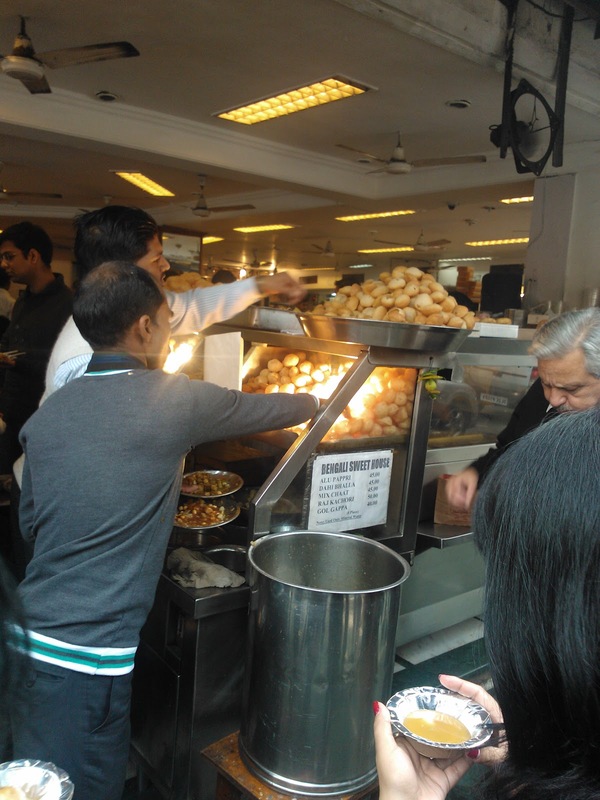 I have a weak for Malviya Nagar market's aalo chat and gol gappe. There's a chur chur naan stall right underneath Moolchand metro station. They sell the best naans I have ever eaten. Do try their daal naan next time, it's mouthwatering, I promise! Ash! I usually skim through posts quickly because I have tons of them lined up to read but I kid you not, I read every word of this one. I love how you have written this, casual, enthusiastic and I could practically picture you gushing with those same words (expression et al!) abt your time in Dilli. Hope to try some of this awesomeness out -my Dilli food experience is limited to Coffee House and paranthewali galli, both of which I love. Here's to more! Thank you so much Kalyan :) Yes, I was in Delhi when the incident happened. Media does exaggerate a lot but what happened was terrible indeed. Delhi is being blamed as a city for something that is not even a city specific problem. Wish people looked at the good things too :) Thank you so much once again! 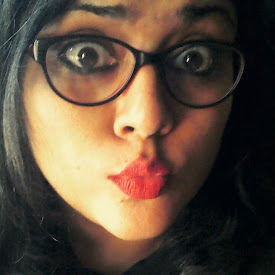 I am a UK born Indian and I am coming to India next week for the very first time, we'll be visiting Mumbai but also Delhi too, can't wait to try out some of your recommendations! Do let me know how you like them! :) Thanks for stopping by! Great food journey... Loved reading (and salivating!) over all the delicious things you lovingly described. Not to get into a debate or anything - and I agree Delhi samosas rock! 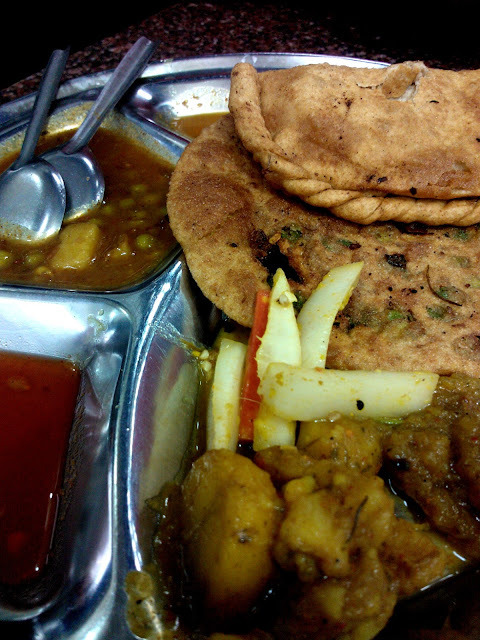 - but try the ones at Punjab Sweets at Pali Naka... some of the best in this city for sure! I shall definitely bookmark these places and try them when I visit Delhi :) Thank you for the post!